Sen. Lisa Murkowski is keeping mostly neutral on Gov. Mike Dunleavy’s proposed budget cuts. She spoke about his budget on a visit to the Yukon-Kuskokwim Delta this past weekend. The governor’s proposal cuts deeply into Medicaid expansion, public safety, and education, all services that many in the Y-K Delta rely on. Murkowski endorsed Dunleavy in last year’s election, but there is one area where Murkowski doesn’t want to see any cuts: education. “Let’s make sure we do right by those kids in making sure we give them those full opportunities,” Murkowski said. 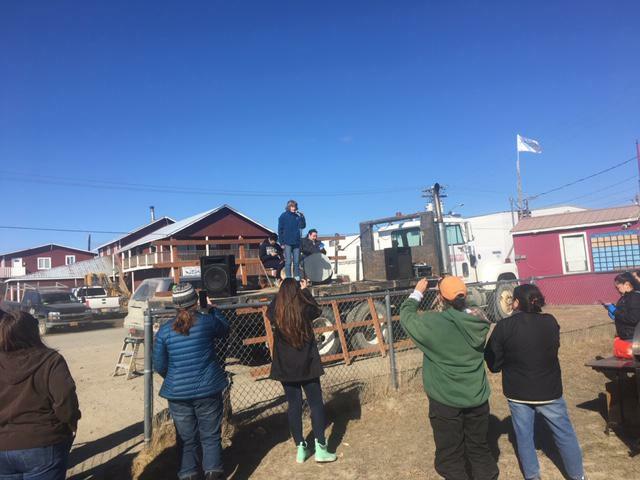 Murkowski visited Bethel on a scheduled trip to Eek this past weekend. She didn’t make it out to Eek because of weather, but managed to attend Bethel’s river breakup bash on April 13, the earliest breakup bash on record.